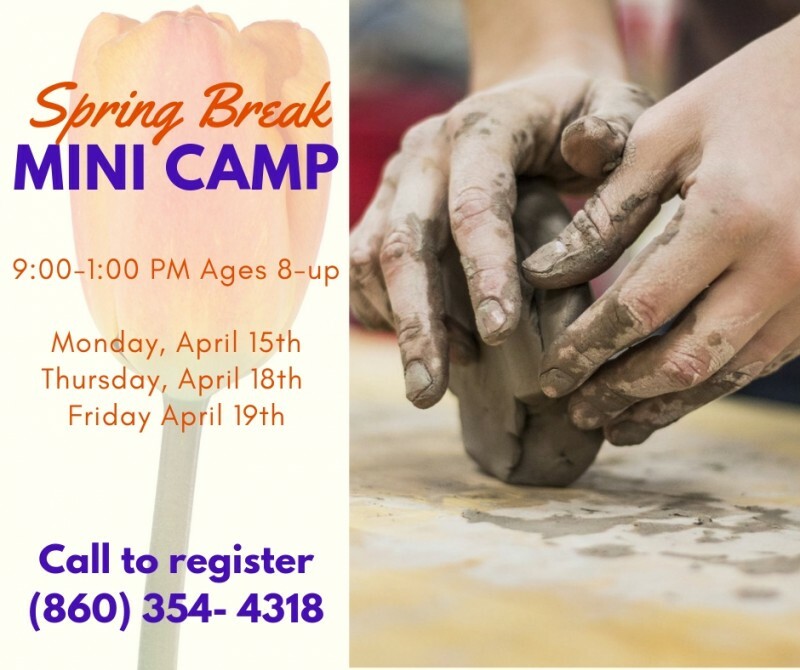 During Spring Break, we will have 3 dates to choose from to learn clay handbuilding. There will be a different project each day. No previous experience required. Pick a day and create! $50. Per kid per day. $40. For siblings. Call to register (860) 354-4318.